The beginning days of the ministry now known as The European Evangelistic Society reach all the way back to pre-World War II days in Germany. Dr. Ludwig von Gerdtell, a Prussian nobleman, while studying at Leipzig, came to the conclusion that church and state should be separate, that baptism presupposes a personal faith and is symbolic of Christ’s resurrection, and that the Lord’s Supper should be the central focus for each corporate worship service. Those views, of course, were in conflict with much of official Christianity in Germany, but von Gerdtell’s plea among university students was well received. von Gerdtell’s understanding of the New Testament suggested that there was a significant contrast between the faith and life of first-century Christianity and the false church piety of his time. A strong and influential church grew up in East Berlin as a result of von Gerdtell’s preaching. He became a convinced and persuasive advocate of the New Testament as an adequate and authoritative basis for the church’s proclamation and life. Von Gerdtell read B.A. Abbott’s Concerning the Disciples and came to the United States to become acquainted with this movement in America to reform the church according to the New Testament – or in his words “to complete the Protestant Reformation." A group of American preachers was so impressed with von Gerdtell, that a meeting was held in the home of Dean E. Walker, in Indianapolis, Indiana. At the time, Walker was Professor of Church History at the Butler School of Religion. Out of that meeting was born the German Evangelical Association for the purpose of endorsing and supporting von Gerdtell’s ministry. Walker was elected Secretary of the group, a position that would ultimately lead to a long and productive term of service as President of EES. The War in Europe made it increasingly difficult for the German Evangelical Association to function well. In 1944, Dean Walker was elected as President. In July of 1946, the old GEA was renamed The European Evangelistic Society. From the very beginning the GEA and then the EES was focused on the need to provide a channel through which Christian brethren could cooperate in accomplishing the divine mission transmitted to the church through the New Testament. The fellowship of this mission was to be centered on the idea of advancing the Christian mission. Earl and Ottie Mearl Stuckenbruck were both students at Butler School of Religion. OttieMearl had been instrumental in establishing and leading a Student Volunteer Movement group at Butler and Earl had served as a “fellow” for Dr. Abram Cory, Professor of Missions. Through a number of providential circumstances, Earl and Ottie Mearl were challenged to mission service in Europe. The devastation of the War and the spread of communism motivated them to offer their lives in service to making Europe a better place. Eventually, after a significant period of investigation and prayer, they settled in Tübingen, Germany. Earl was convinced that the most effective approach to missions involved an effective witness to the gospel in a university setting. The University of Tübingen had been commended to him and proved to be the ideal setting for the mission. With its scholarly tradition, excellent library, and openness to the idea of an Institute for the Study of Christian Origins, this location has proven to be the right decision. Dean Walker would later describe the scope of the mission as giving “conscious attention to its twofold thrust: Academic and Communal, Learning and Serving, Intellectual and Proclamatory, Theological and Demonstrative.” The Stuckenbrucks proved to be ideal missionaries in such a setting. 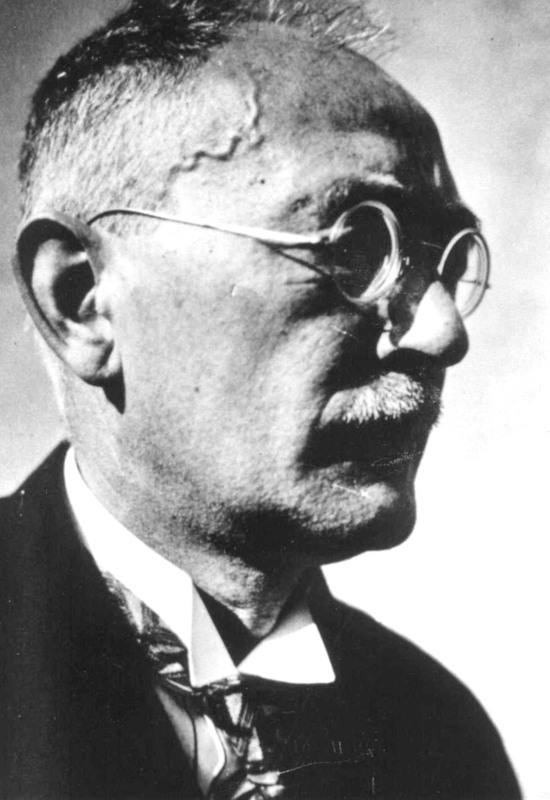 A.T. DeGroot, in Europe to work on historical research, became well acquainted with EES and its mission. He would describe its purpose as “to share with German scholars in applying the New Testament to present European culture at the university level. From this effort an indigenous ministry was anticipated.” DeGroot’s words have proven to be prophetic. The hard work and faithful ministry of the Stuckenbruck family brought forth the reality of both the Institute for the Study of Christian Origins and the Gemeinde – a congregation of “Christians only.” The influence of these two ministries has been felt all over the world, as international students have come to the University for academic purposes and have been a part of the Institute and church. During the University semesters, the Institute offers the fortnightly "Kolloquium für Graduierte" (Graduate Colloquium) in conjunction with the Protestant Faculty of Theology at the University. This colloquium offers PhD students and visiting professors the opportunity to present portions of their dissertations or other "works in progress" for critique by their peers. Recent participants have been doctoral students and visiting professors from the US, UK, Finland, Korea, Japan, and Germany. The Institute also offers courses at the University in Theological English and Theological German, primarily for International students. Through the years, a number of very capable scholars and preachers have followed the Stuckenbrucks and have served as either Director of the Institute or minister of the Gemeinde. Among them are Dr. Burton Thurston, Dr. Scott Bartchy, Dr. Bruce Shields, Dr. Fred Norris, Dr. Ron Heine, Dr. Dennis Lindsay, Dr. Scott Caulley and others. Currently, Dr. Beth Langstaff serves as Director of the Institute. In 2010 EES merged with TCM International Institute. Since 1961 the ministry of TCM has focused on serving the needs of people from Russia, Central and Eastern Europe. Many of those who have received graduate education through the TCM International Institute are continuing with their advanced education. The opportunity to take advantage of the resources available through EES and the Institute for the Study of Christian Origins is very attractive to students coming from countries where such resources are not available. The TCM International Institute has over 800 students and 400 graduates from over thirty countries in Europe, Russia, Central Asia and the Middle East. The earliest days of the old German Evangelical Association and its successor, The European Evangelistic Society was marked by a deep and abiding interest in the oneness of the Body of Christ. Their goal was to form and support a “non-sectarian mission” as Dr. Robert Shaw, who succeeded Walker and president and served for many years, likes to describe it. That mission has not changed with the passing of over sixty years of ministry. EES still seeks to be an international witness for the Christian gospel in one of the most significant theological settings in the world. And now in partnership with TCM, the EES can develop even more leaders for significant service throughout the world.